When was the last time that you cast a spell from the stage? If it’s been a while, take heart: I’ve found that nearly all musicians can learn to deliver spellbinding performances. But they first need to build up their stage power. Stage power, as I conceive it, comprises 4 elements: stage deportment, stage presence, performance mastery, and performance artistry. Let’s look at each one. Stage deportment encompasses the technical aspects of public presentation. In The Musician’s Way, I divide stage deportment into 7 categories: attire, entrances & exits, bowing, setting up and tuning, performance body language, handling scores, and speaking. By becoming fluent with all of these components, we broadcast self-assurance, and our listeners become receptive. Stage presence conveys personal energy. When we speak to audiences, for instance, our diction is an issue of deportment; what we say and how we say it transmits our presence. 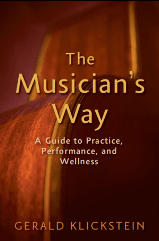 There’s much more to it, of course, so check out pages 171-179 of The Musician’s Way, where I deconstruct stage deportment and presence and, in particular, underscore the primacy of showmanship. Showmanship – or show-womanship – stems from our commitment to give audiences a great time no matter what the circumstances; it involves projecting irresistible positive energy (think of singer Tony Bennett). Performance mastery derives from our ability to prepare for shows, focus under pressure, execute precisely, juggle errors, and deal with adrenaline. It empowers us to have command over ourselves and our instrument such that, even when pressure levels soar, we retain control. To achieve such mastery, we have to employ specific practice and performance skills, which I detail in Parts I & II of The Musician’s Way. Now we’ve come to the point of it all: Artistry. When we’re thoroughly prepared for a show and embrace our roles as performing artists, we can open ourselves to the moment and drench listeners with emotion. We acquire artistic potency through, among other things, choosing accessible music, gaining interpretive know-how, practicing deeply, and trusting ourselves – we have to trust in our preparation and in what we have to say through music. A musician’s stage power results from the sum of those 4 elements. One way to gauge your stage power is to video-record a practice performance and then assign yourself a 1-5 ranking in each category, with a top score totaling 20. Next, you’d target areas needing improvement, and then practice to grow your competence. 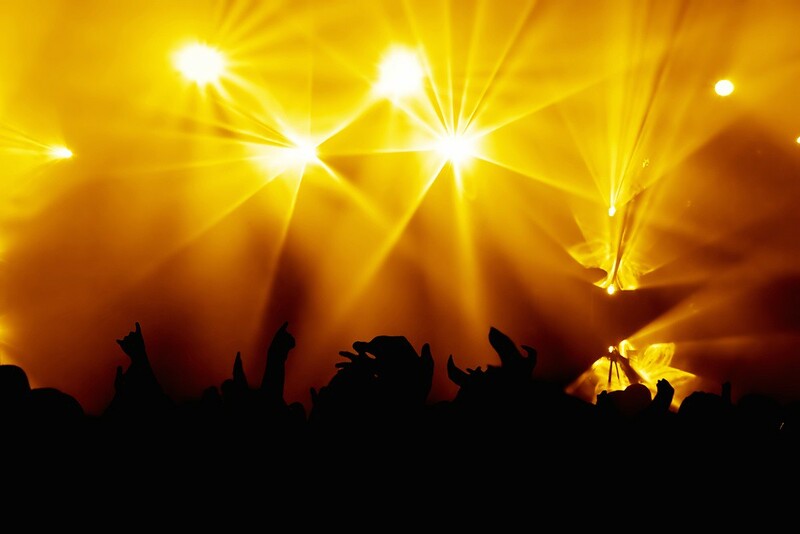 With steady work, the energy of being on stage can then rocket you and your listeners to unforgettable heights. Need further help to build your practice & performance skills? Contact me for coaching via Skype. Thanks for the inspiring story, Helen. I always enjoy and appreciate your contributions. Yes, it’s curious how so many children fearlessly engage in artistic expression of all sorts and then morph over time into fearful adults. Nonetheless, as we know, there’s a big difference between the responsibilities that adult vs. child performers bear. I’ve learned that adults who acquire comprehensive performance skills are equipped to be secure & artistic on stage; those who lack certain skills – whether those skills are personal, task-related, or situational – are primed for insecurity. Problem is, all too many music educators focus on how to play instruments or sing and neglect the holistic processes of performing music. As a result, vast numbers of students become adept at technical and artistic aspects of musical execution but don’t develop essential performance skills. And when music educators omit essential instruction in those skills, they unwittingly teach performance anxiety. Isn’t it interesting how adults “learn” to deliver spellbinding performances, often having to deal with the fears that Jacques Darville delineates. As I read your as-always great piece, Jerry, I instantly remembered a performance of my nine-year-old flute student, Rachel, about 18 years ago. During my student flute recital, she got on stage to play the Arab Dance from the Nutcracker, and cast a profound spell. You could hear it in her music, see it in her face and body. You could feel it in the energy of the room, and sense it in the members of the audience. You were shaken during the moments of silence at the end of her piece, just prior to the applause. After 40+ student recitals, I still remember this performance of almost two decades ago. Rachel knew instinctively how to cast that spell. Thanks, Jacques. Excellent list – volumes could be written about each of the points you make.